Our exclusive new development at The Grange offers a rare opportunity to choose from a stylish and unique collection of just six new executive homes together with four luxury apartments in leafy Bunbury. Located close to the heart of the village, each property has been designed to offer distinctive, individual exterior styling, which blends a complementary mix of features, details and materials. 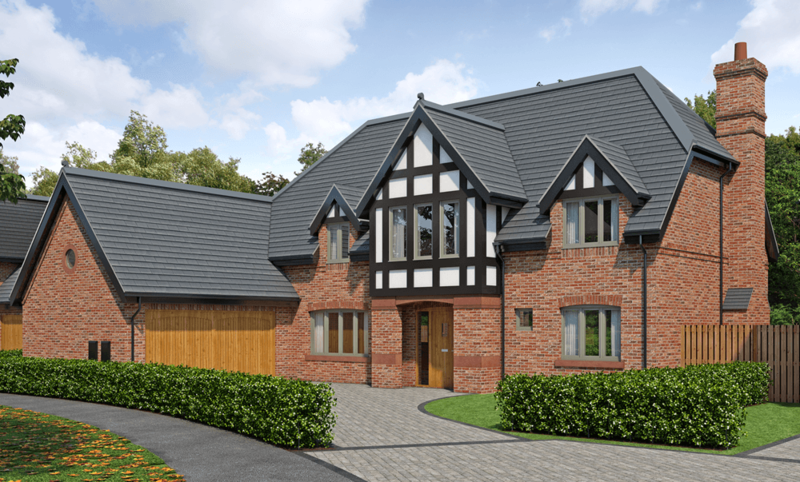 From the use of brickwork and cast stone to enhance selective windows and door openings, to distinctive render, half-timbered features and gable dormers for delightful finishing touches, The Grange offers truly aspirational homes. Exceptional two-bedroom ground floor accommodation and attractive living space, benefitting from a master bedroom, dressing room and en-suite, as well as a second bedroom and separate bathroom. Exceptional two-bedroom first floor accommodation and attractive living space, benefitting from a master bedroom, dressing room and en-suite, as well as a second bedroom and separate bathroom. 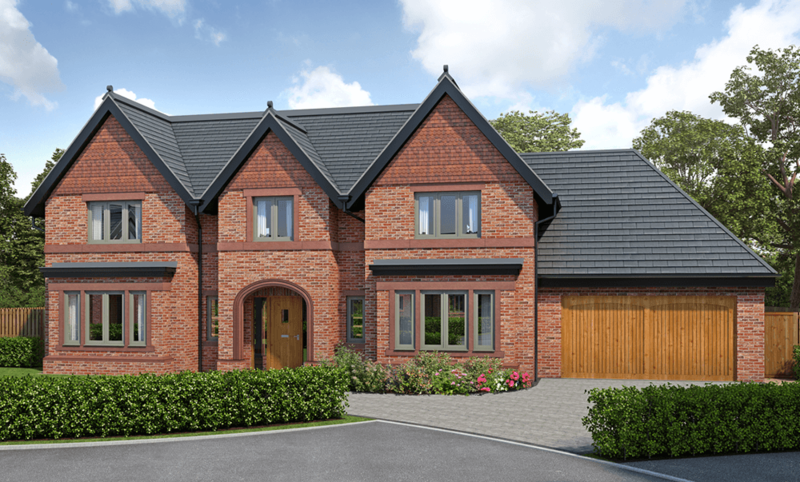 The Arley is a spacious 5-bedroom detached executive home, with a large open-plan kitchen, dining and family area with two sets of bi-folding doors opening onto the west-facing rear garden. 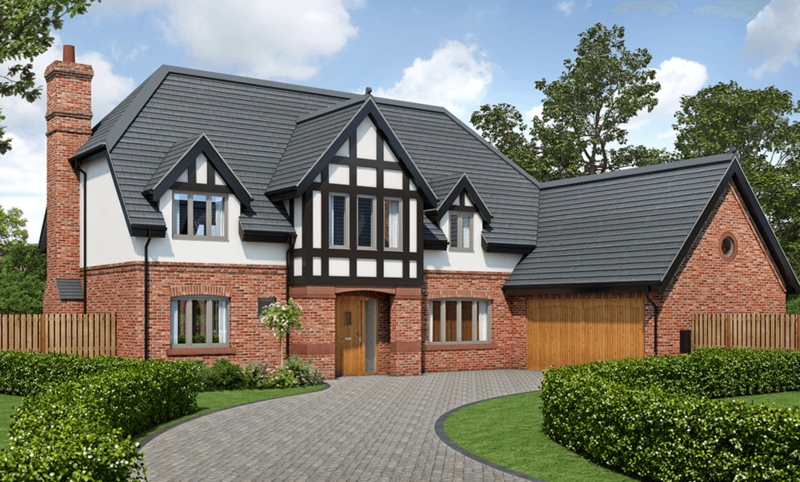 The Dunham is a spacious 5-bedroom detached executive home, with an extensive open-plan kitchen, dining and family area with bi-folding doors opening onto the west-facing rear garden. 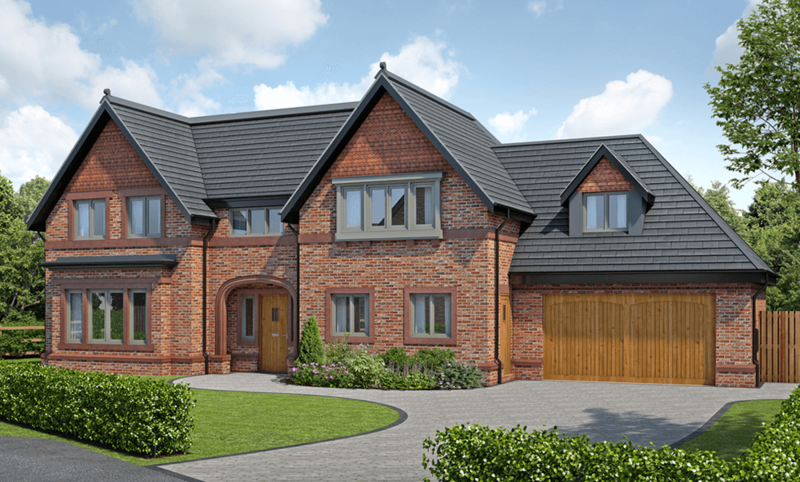 The Eaton is a spacious 4-bedroom detached executive home, with an abundant hallway to welcome and impress visitors, leading into a large open-plan kitchen, dining and family area. 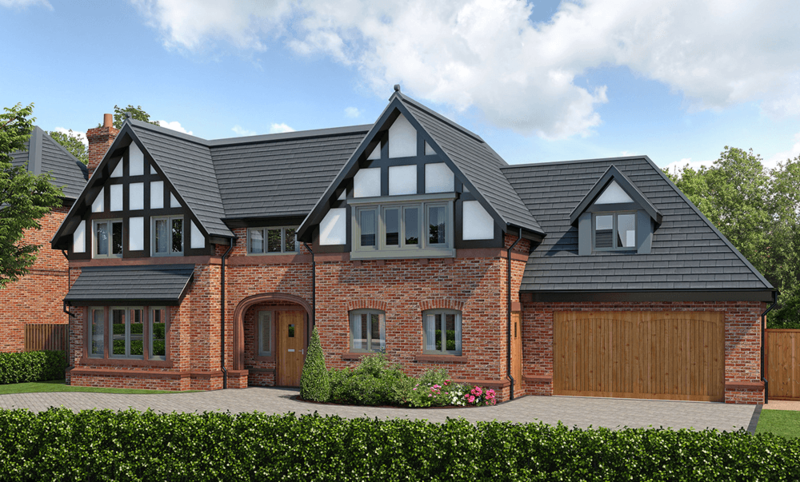 The Gawsworth is a spacious 5-bedroom detached executive home, with an extensive open-plan kitchen, dining and family area with bi-folding doors opening onto the south-facing rear garden. 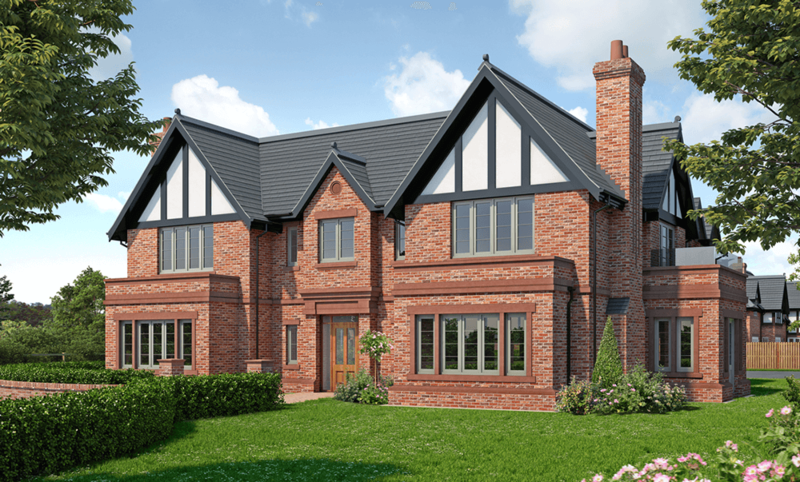 The Mottram is a spacious 4-bedroom detached executive home, with an abundant hallway to welcome and impress visitors, leading into a large open-plan kitchen, dining and family area. 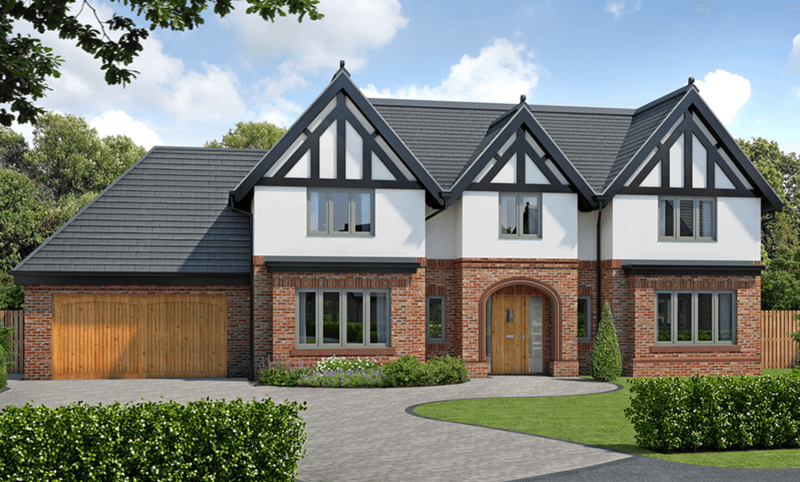 The Tatton is a spacious 5-bedroom detached executive home, with a large open-plan kitchen, dining and family area with two sets of bi-folding doors. Four luxurious 2-bedroom homes have been designed within a single structure of distinctive character. Bunbury offers the perfect marriage of an abundant and serene landscape with an active village life, as the leafy lanes and large open spaces inspire a friendly community spirit. Enjoy a vast array of inclusive clubs and societies for all the family, surrounded by a panorama of outstanding natural beauty. Parents and children at The Grange have easy access to an excellent choice of schools, with all of the nearest primary and high schools having achieved either a ‘Good’ or ‘Outstanding’ rating from Ofsted. With such promising educational prospects close by, you can rest assured that you’ve made a lasting investment in your family’s future at The Grange. The A51 and A49 are just minutes away, giving you direct access to Chester and Warrington, whilst the M56 and M6 are both within reasonable travelling distance for visiting or commuting to Manchester, Stoke on Trent or further afield. If travelling by train, Crewe is the nearest station and has direct routes to Shrewsbury, Birmingham, Manchester and London. A range of dining options is available within easy distance of The Grange, offering a variety of culinary delights. For a wonderful doorstep escape take a stroll to Tilly’s, the lovely village tea room that serves delicious homemade cakes and hosts a variety of popular community events. The Swan at Tarporley has created a seasonal menu featuring the very best British dishes with the occasional European twist. Award-winning Piste is a family-run wine bar and restaurant with an emphasis on quality and an Alpine-chic style. Tattenhall’s atmospheric Pheasant Inn boasts a AA Rosette for its rich local menu, or if it’s a more relaxed pub meal and a quiet drink you’re looking for, Bunbury’s very own The Nag's Head can oblige. With an abundance of natural beauty on your doorstep, The Grange is the ideal setting from which to enjoy local walks and bike rides. Or why not experience the relaxation of travelling by narrow boat on a trip through Bunbury Locks, or take a Victorian journey with a fascinating tour of historical Bunbury Mill? The nearby village of Tarporley hosts a regular country market each month and you can also join a variety of cooking classes, craft workshops and horse riding sessions. Further afield there are a variety of impressive castles and beauty spots to discover, including magical Beeston Castle and the gothic romance of Cholmondeley Castle.